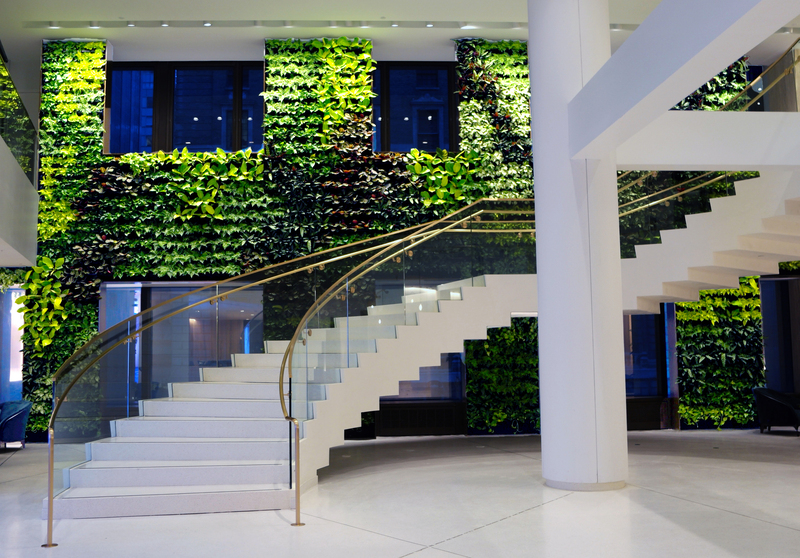 What is an indoor living wall? 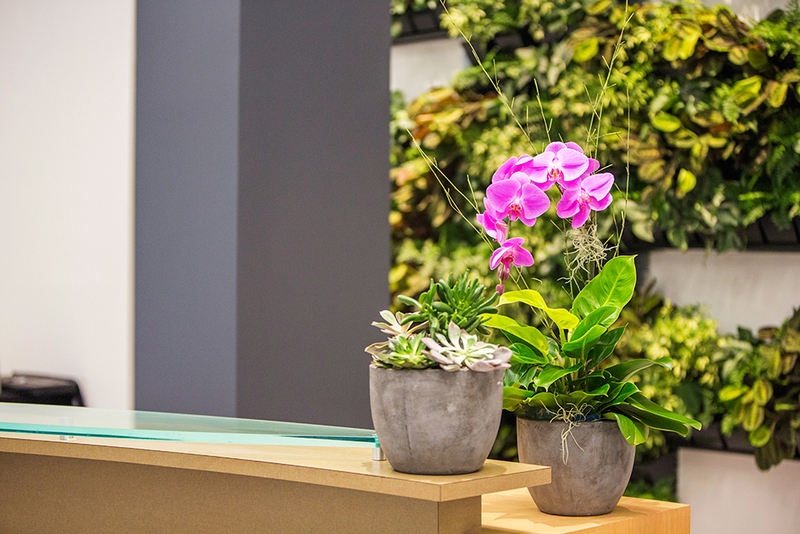 An indoor living wall is an array of live plants that are planted vertically and grown against a wall using several types of green wall systems. 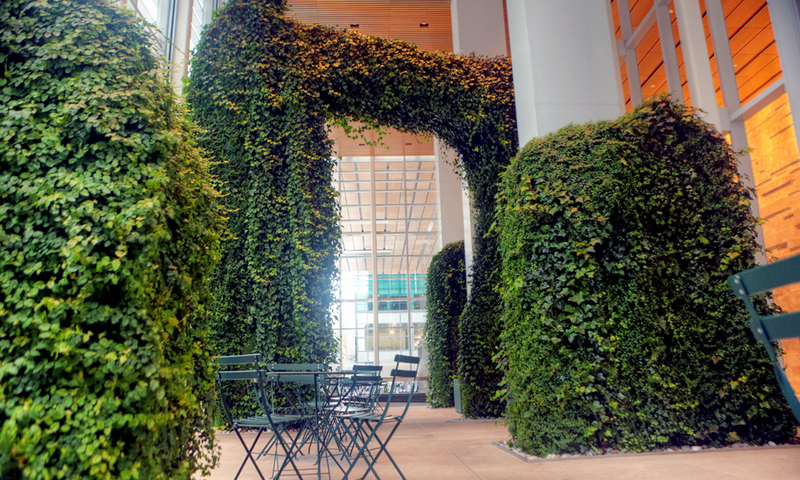 Living walls can also be referred to as green walls, vertical gardens, live walls, or vertical plantings. What are th... read more. 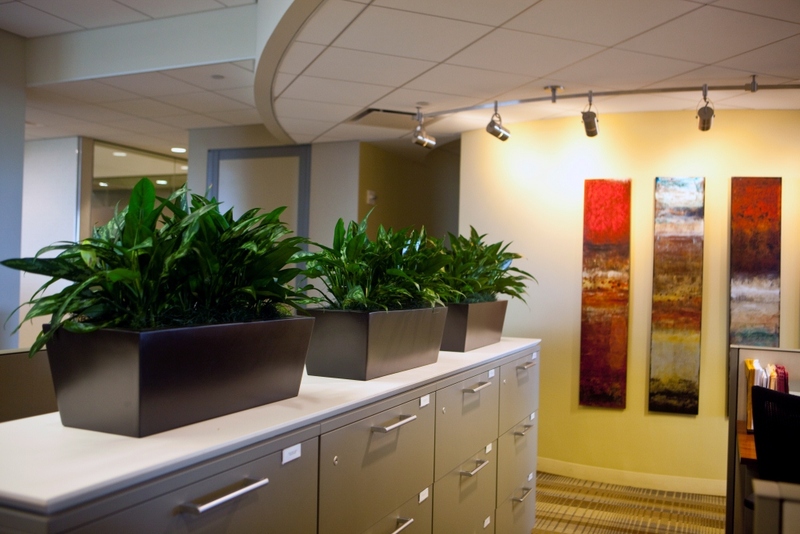 Turning an office into a true greenspace is more than just making it aesthetically pleasing. It’s about making a healthier workplace, both physically and mentally. 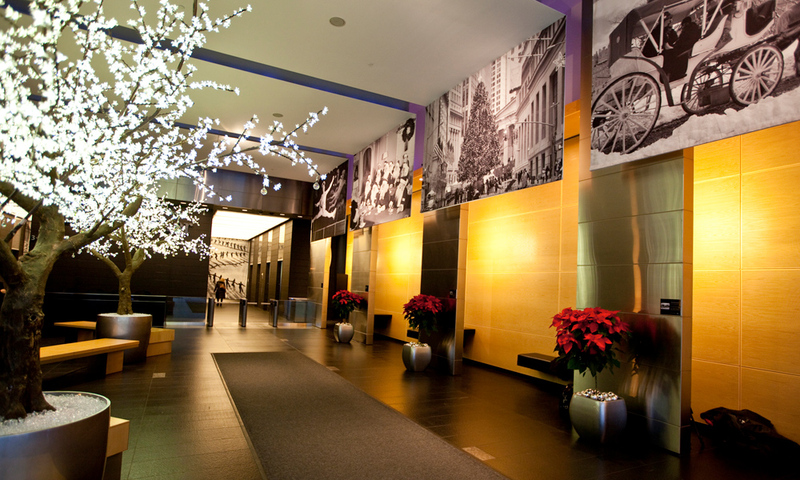 It is also important to make the office inviting to your employees and guests. 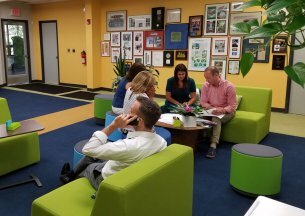 At John Mini Distinctive Landscapes, we take a holi... read more. 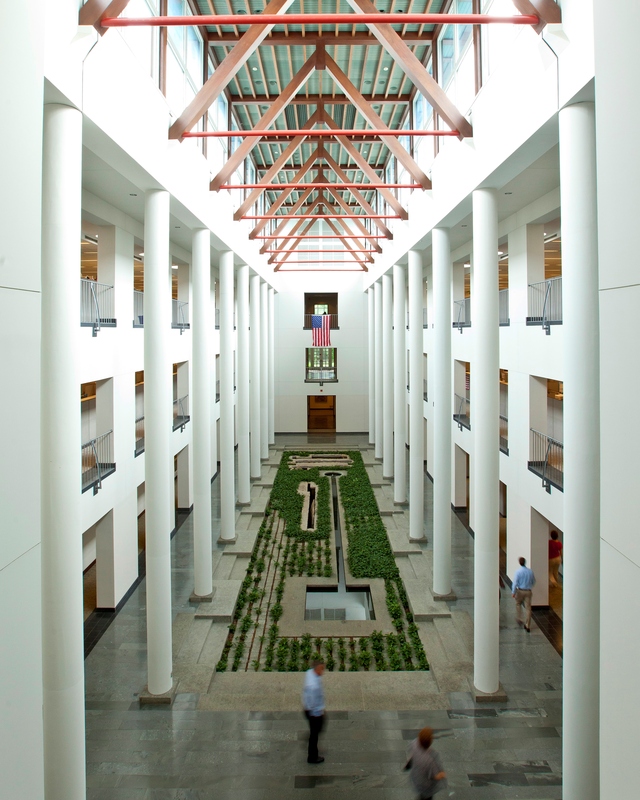 An atrium is a large, open-air or skylight-covered space within a building. 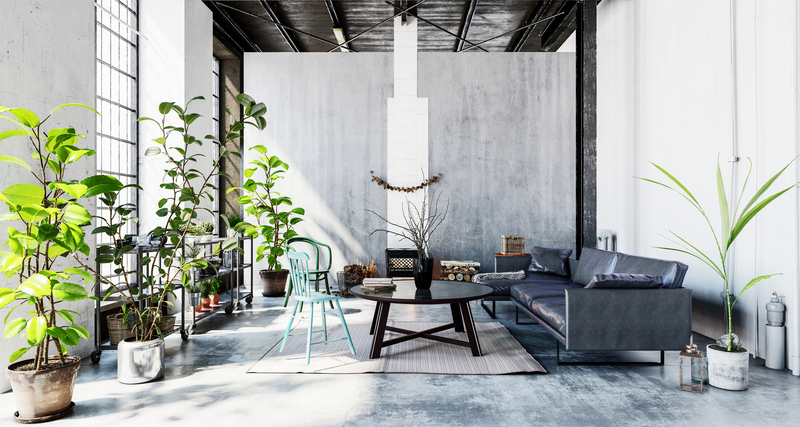 They came about in ancient Roman times, where they were a common fixture in homes as a way to provide light and ventilation to the interior of the house. 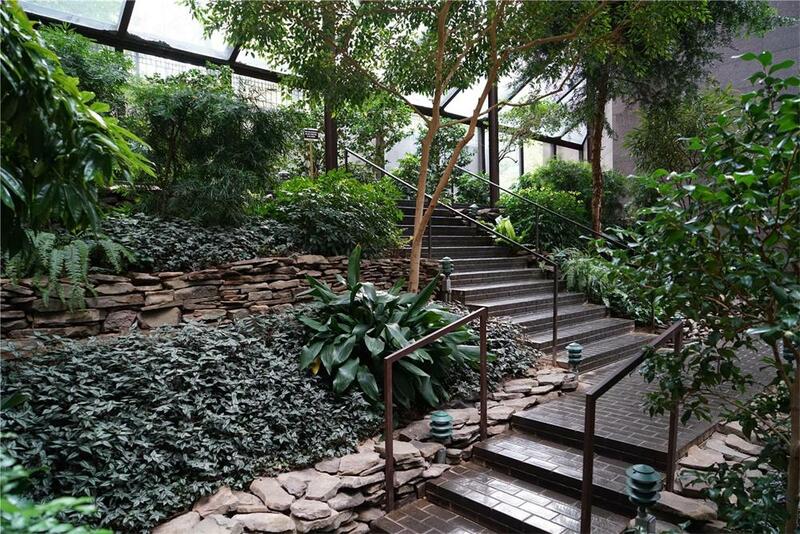 Modern atriums are usually several stories in height and are decorate... read more. 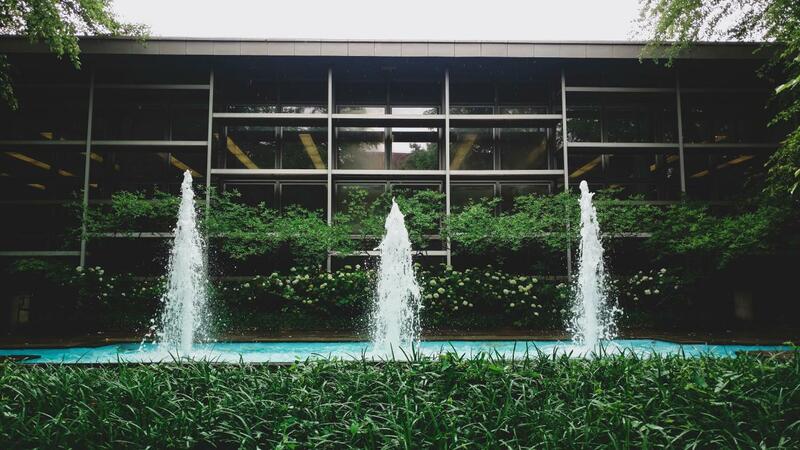 Whether your company is based out of a small shared office space, or a multi-story firm, one of the first things potential clientele will notice is the outside of your building. 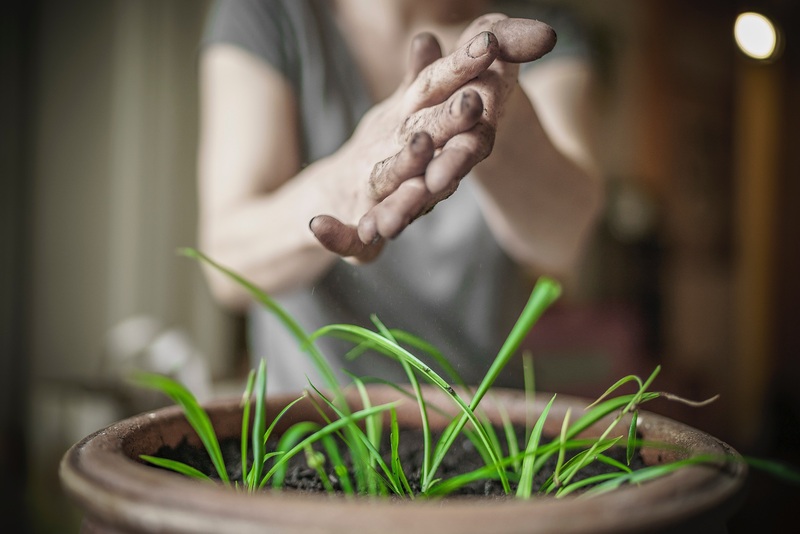 A consumer’s first impression of your business could start forming before they even walk inside. With an inviting ou... read more. 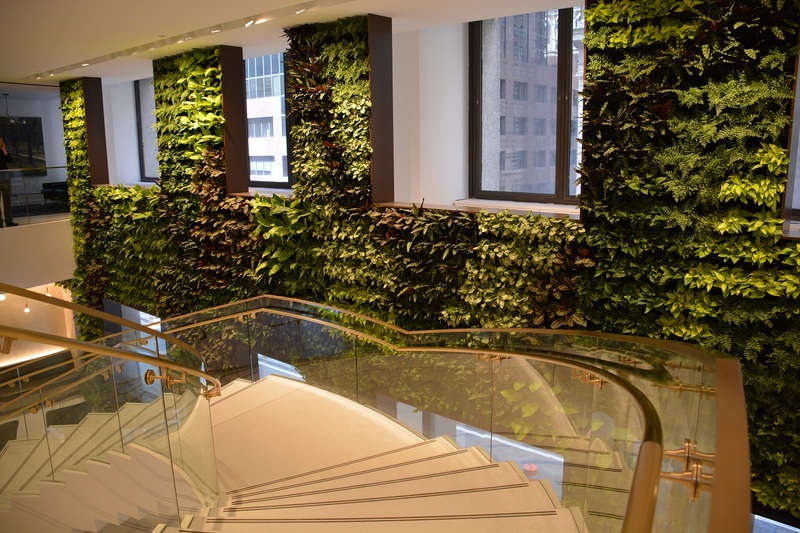 Living walls have been a popular design concept for years and it's easy to understand why. 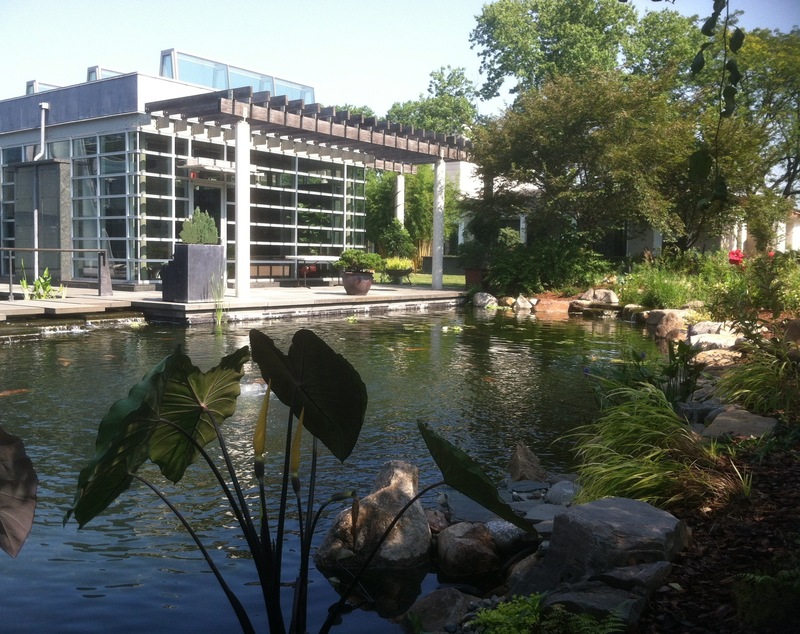 Vertical plantings offer a variety of benefits and look incredible. 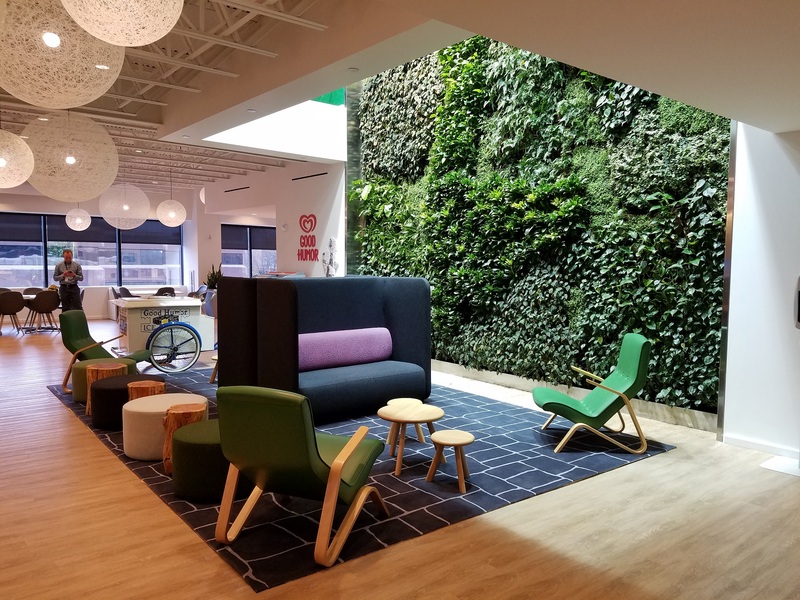 See how John Mini uses living walls to beautify and enhance your space. 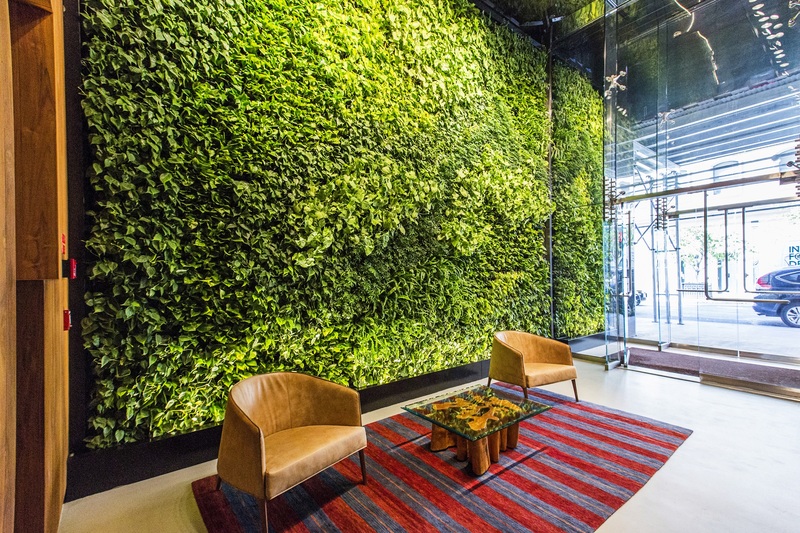 Living walls are not a new concept. In fact, you could say green wal... read more. 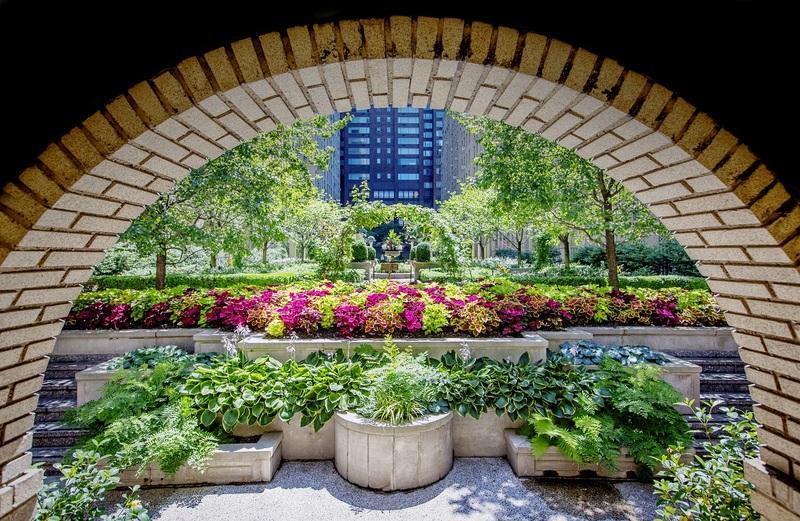 Do you want a beautiful landscape, but think your space is too small? 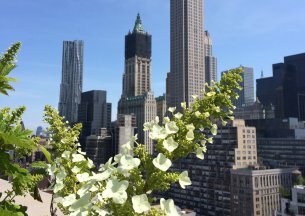 Well, we at John Mini want to tell you that micro landscapes are not only possible, but are critical for enhancing our towns and cities. 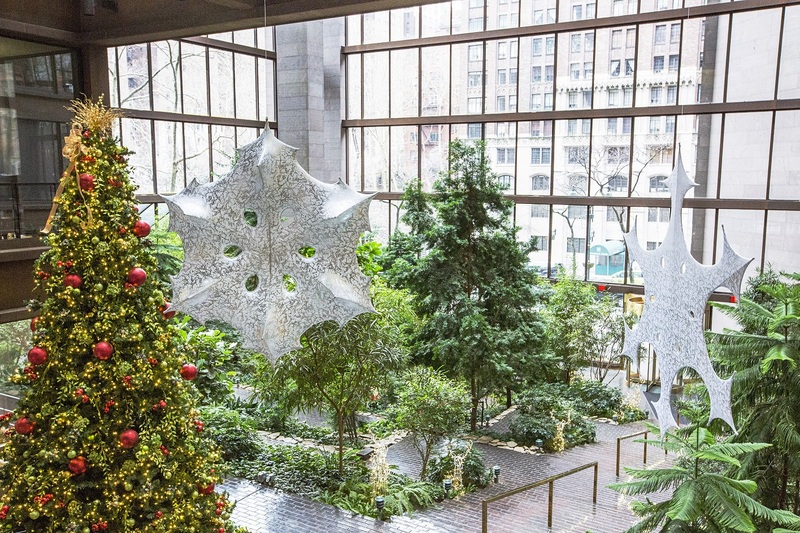 The awe-inducing nature of professionally executed, small landscapes are a cornerstone of ga... read more. Many people work in an office every day, which can be counter-intuitive to a healthy lifestyle. 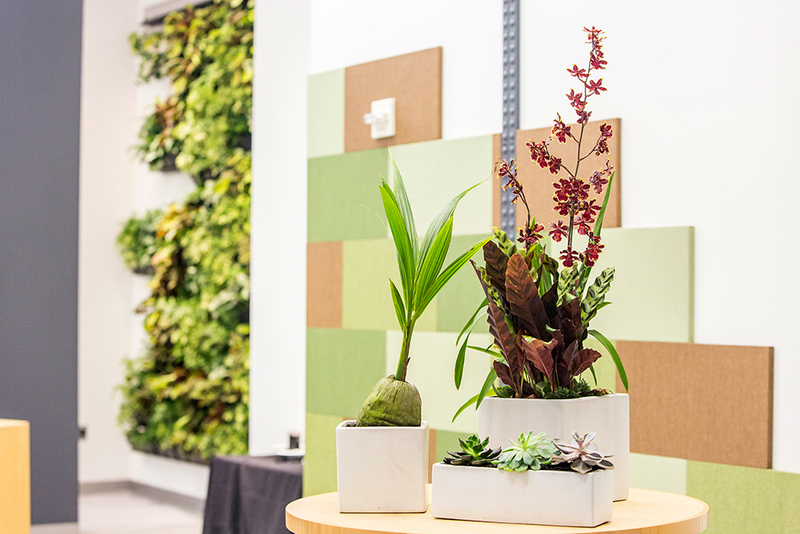 Reclaim your space, improve productivity and live healthier by adding natural, living elements to your workspace. 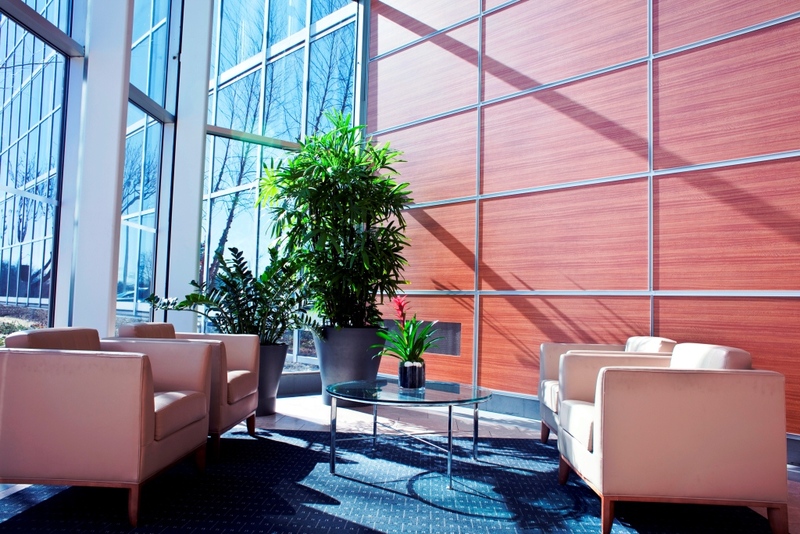 Whether it’s a desk plant, an office with a view, or an indoor atrium, the benefits... read more. 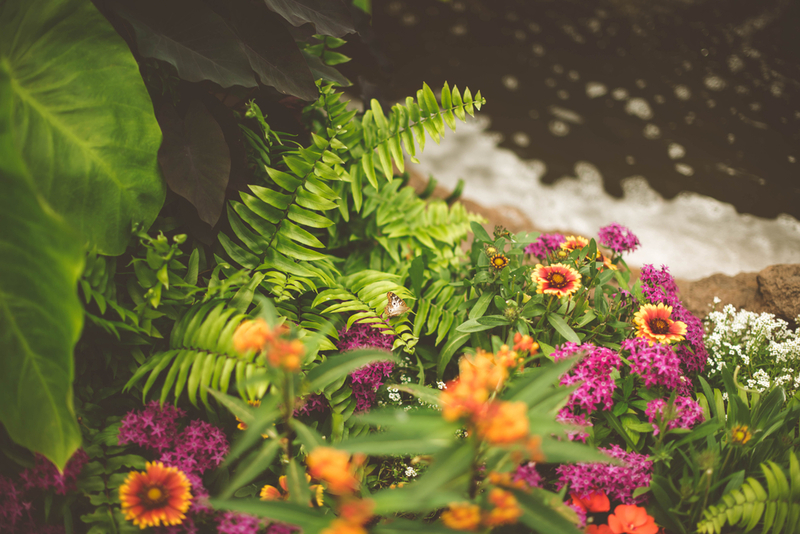 When you think of landscaping, you probably think of the outdoors - taking existing land and making changes by adding flowers, plants or various structures to enhance the appearance of an outdoor space. 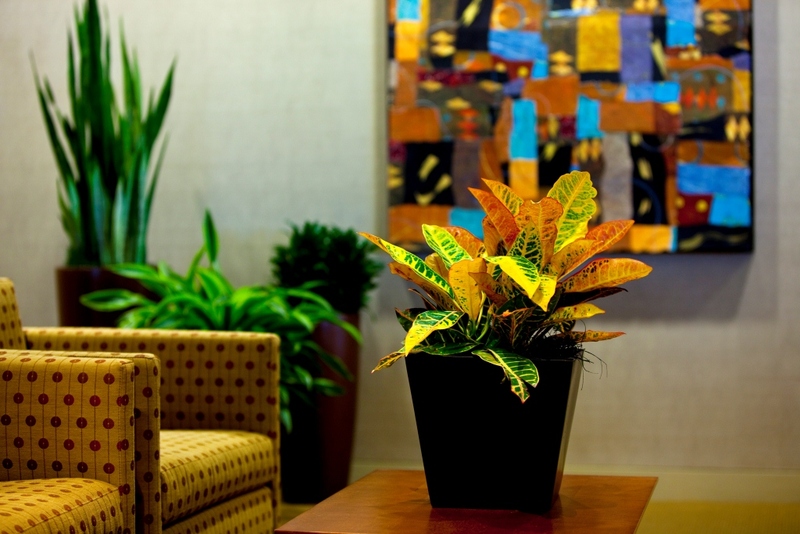 Indoor landscaping, also known as “plantscaping” or “interiorscaping,” do... read more.